The first apple saplings were imported in Japan around the year 1871. In the spring of 1875, the Department of Industry Promotion from the Home Ministry sent three apple saplings to Aomori prefecture. 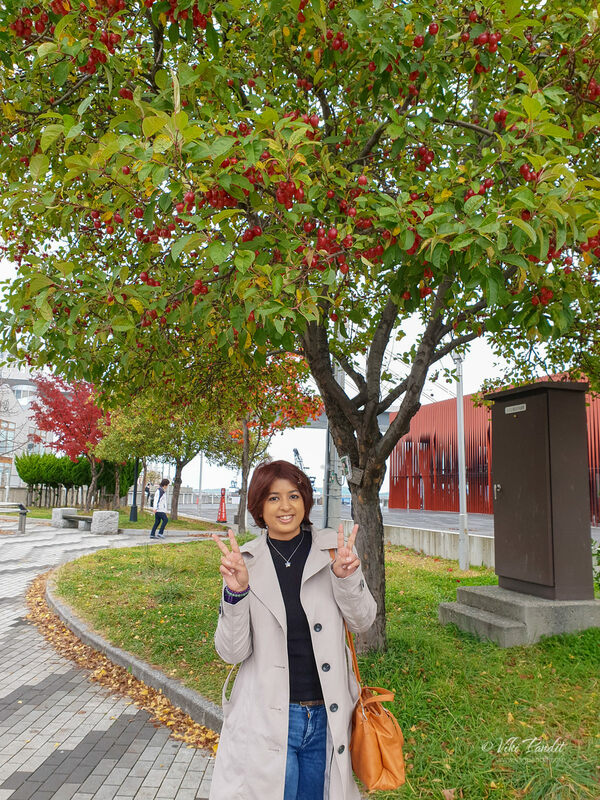 The apples that were grown on the grounds of the Aomori Prefectural Office were the beginnings of Aomori’s apples. Since then Aomori apples have come a long way. Today most of the shops in the city will inevitably offer numerous kinds of apple-based culinary delights. 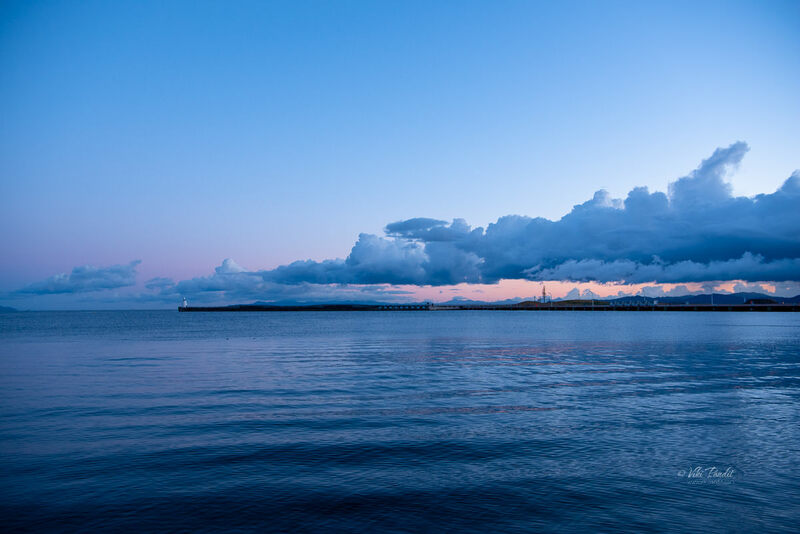 Today however I am going to talk about one of the most photogenic spots in Aomori – the Aomori Bay. When I was here a couple of years back, I was floored by the most incredible sunsets I have ever seen. Since then Aomori enjoys a special place in my heart. What I love the most the about it is that is just perfect for romantic walks by the sea. 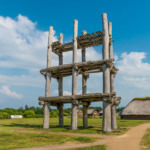 You can roam around the Sin-machi Dori, enjoy traditional artifacts at the WaRasse Museum or if you are lucky enough, you might also experience a most beautiful sunset like I did. 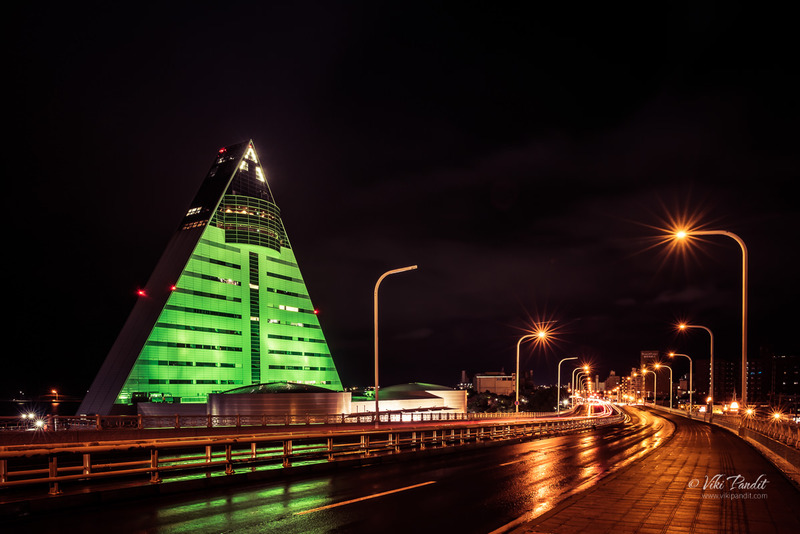 At the end of the day, you can just go up the ASPAM building, which is the tallest building in Aomori and enjoy the beautiful city at night while sipping on a warm cup of coffee. In this journal I will talk about a day I spent wandering around the beautiful bay and the incredible spots surrounding it. I woke up at dawn, packed my camera gear and left for the bay. I was staying at APA Aomori. 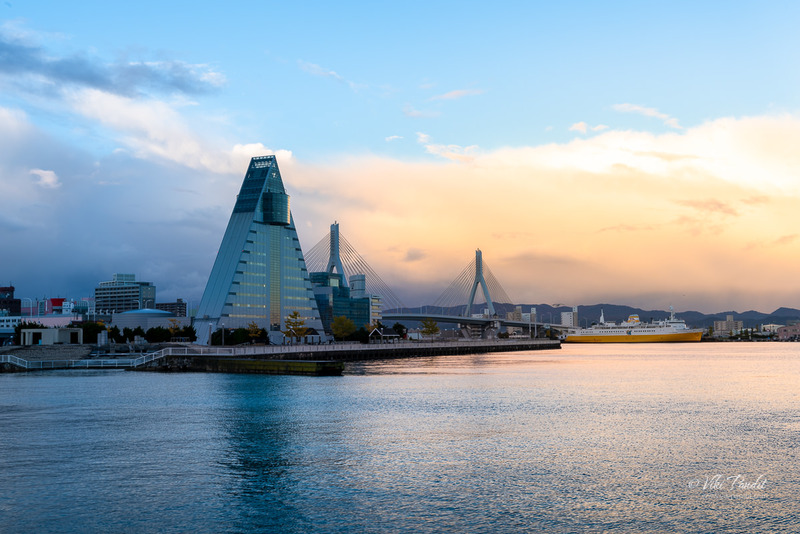 The APA Hotel is located at a walk-able distance from the Aomori bay. I have stayed at this hotel before and really liked it. 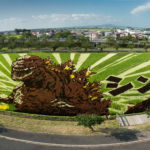 Its perfectly placed, equidistant from the Aomori Bay, Wa Rasse Museum and the Aomori Station. Far away towards the east, the Sun was starting to rise. As the Sun was just about to show itself, a long mass of cloud moved in from the south-eastern side and blocked the view. With every passing minute it floated more and more towards the sunrise and that was it. Even though I couldn’t capture the sunrise, the scene was still amazing to look at. 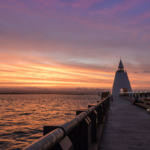 I slowly made my way along the central pier, towards the West Lighthouse. I have some amazing memories of the place from a few years back. Unfortunately the entrance to the lighthouse was locked. I am not really sure at what times they open it or its been closed for a while. By that time the clouds had totally engulfed the sky, shattering all hopes of catching the rising sun. However, it was not a total loss as as towards the west the sky was painted in a plethora of vivid colors in the sky. 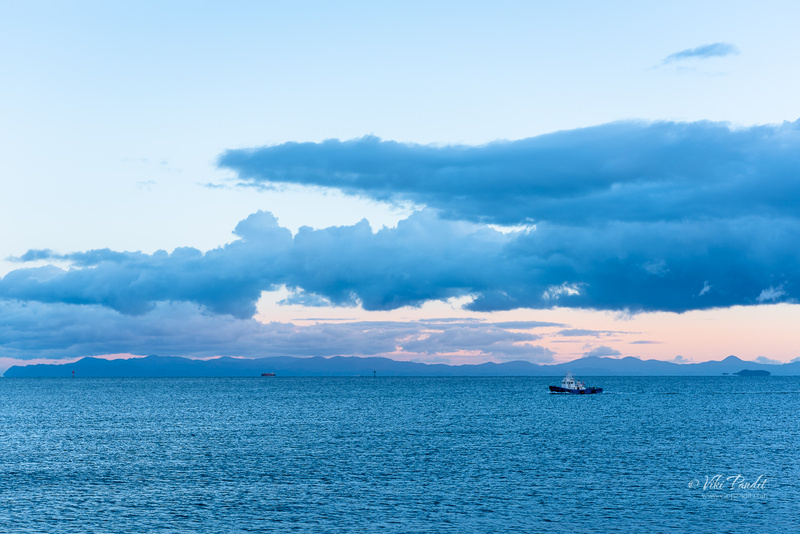 Far on the right you can see the yellow colored ship – Hakkoda-Maru. 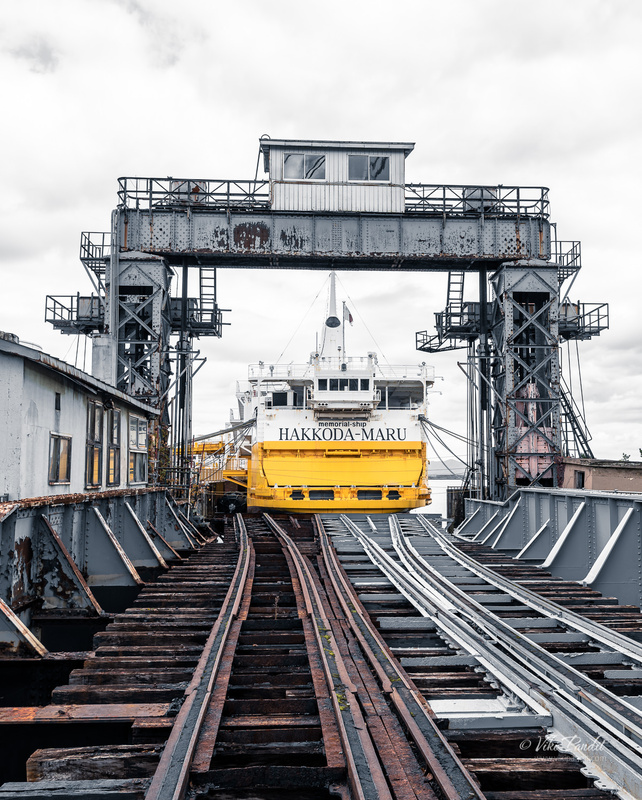 The ship which used to connect Aomori to Hakodate, was the longest Seikan ferry in operation and is now on exhibition as a memorial ferry. I spent a few minutes near the bay enjoying the peaceful moment, before morning joggers gradually started showing up. Even though it was a cloudy day, the bay still looked incredible. After the peaceful morning at the Bay, I went back to the Hotel to catch up on some breakfast. 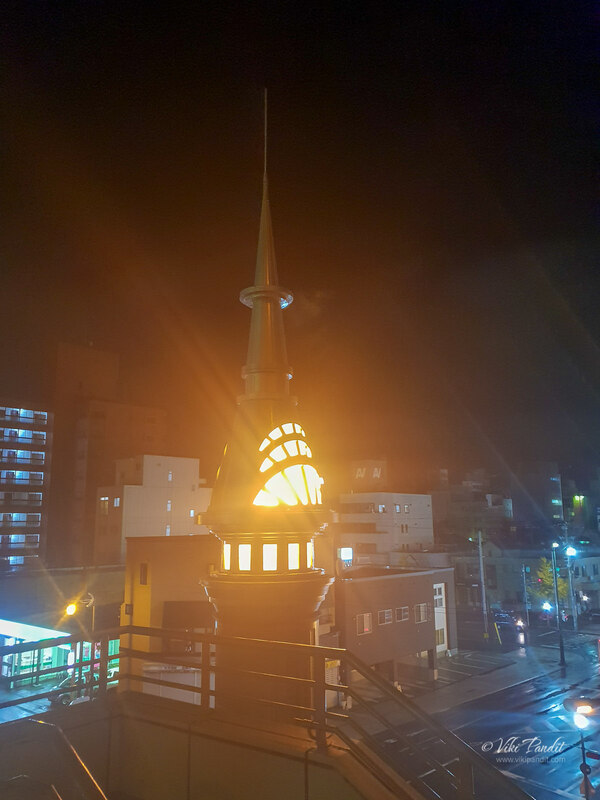 After a light meal, I walked towards the Aomori Station. This time Mani was with me. It was pleasant surprise to see wild apples growing on the trees on the side-walk. 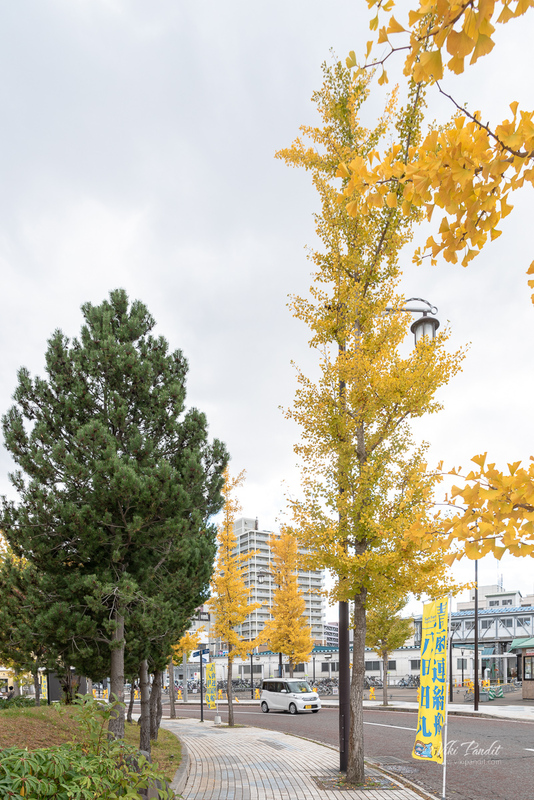 The day was dull but the queue of lovely Gingko trees near the station brought about a feeling of happiness. The broad, fan-shaped ginkgo leaves turn a brilliant yellow and can be stunning to watch during this time of the year. We were on our way to the Seir-yu ji Temple in the suburbs of Aomori. 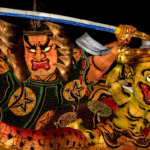 If you want something closer you can always enjoy the amazing Nebuta Floats at the Aomori WaRasse Museum. Just beside the WaRasse Museum you can find the Hakkoda Maru. The now retired ship used to ferry passengers between Aomori and Hakodate from 1964 to 1988 and is now a permanently moored floating museum. 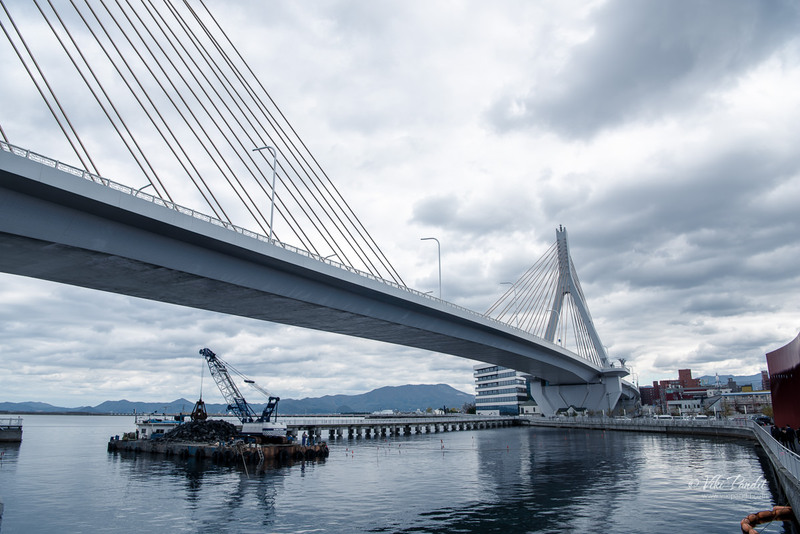 If you take a small detour along the shore, you will pass under the lovely Aomori Bay Bridge. 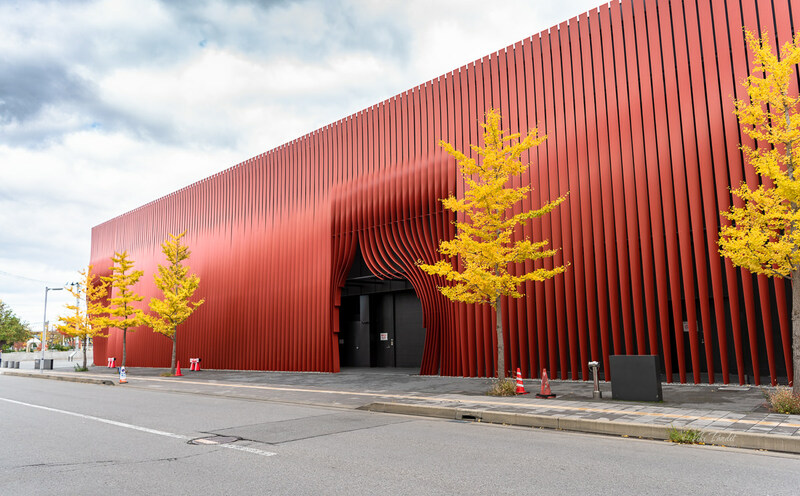 With the Sinmachi Dori nearby, you can find some nice restaurants in the most chirpy area of Aomori. After lunch I would recommend a leisurely walk at Aoiumi Park along the bay. The park is decorated with some Momiji as well as Gingko trees. 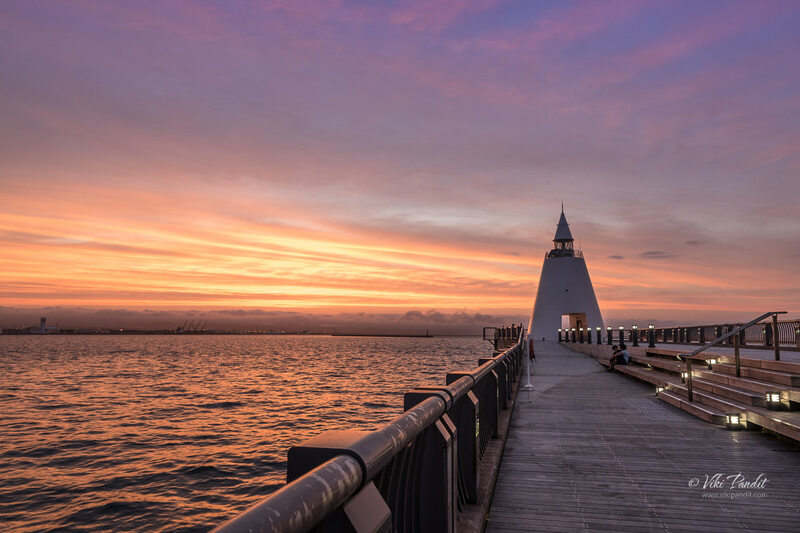 Because of its strategic location of the city, you get some really beautiful sunsets at Aomori. Click here to see my pictures of one of the most beautiful sunsets at Aomori. For us it was not meant to be. 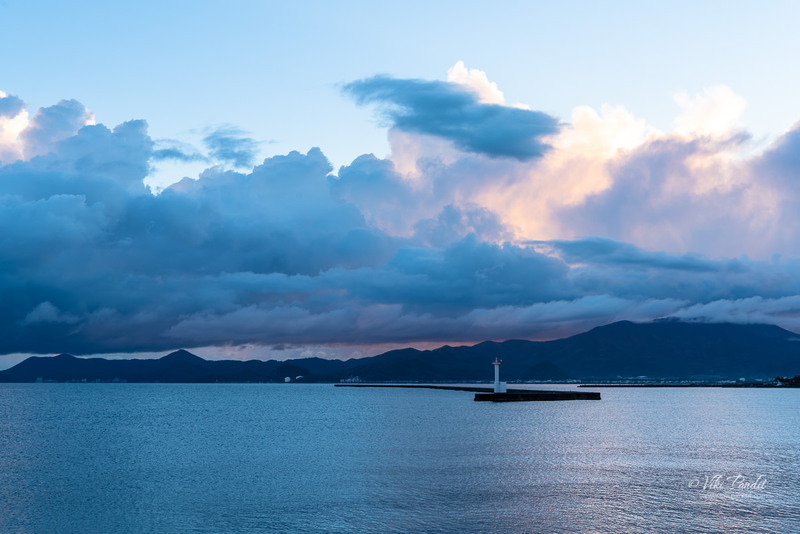 The clouds had gathered up strongly but if you want to see what a glorious sunset looks like at Aomori bay, click the button below to read my story on the most memorable sunset I have ever been witness to. Finally, If you are willing to slug it out through the evening, the ASPAM building is the place to be. It is the perfect place to crown a lovely evening. 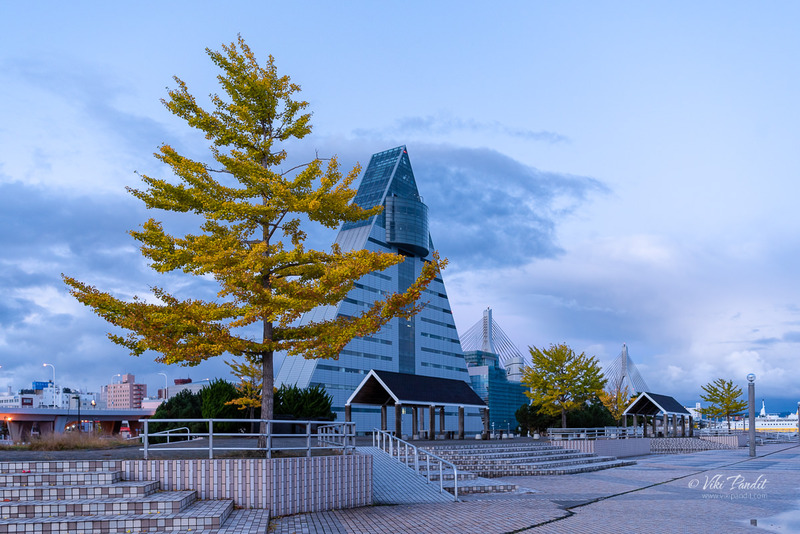 Admire the unusual pyramid building that houses the Aomori Prefecture Tourist Center, ASPAM. 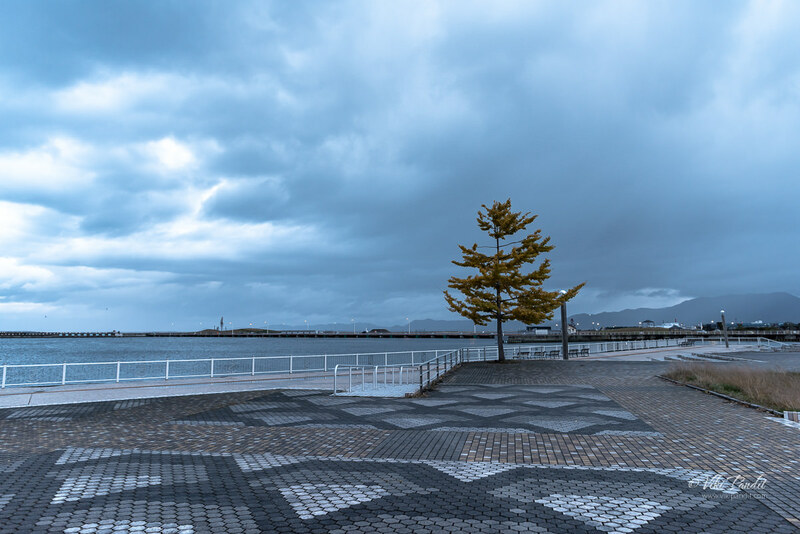 Its platform on the twelfth floor offers a beautiful panoramic view of the Aomori bay and the city. 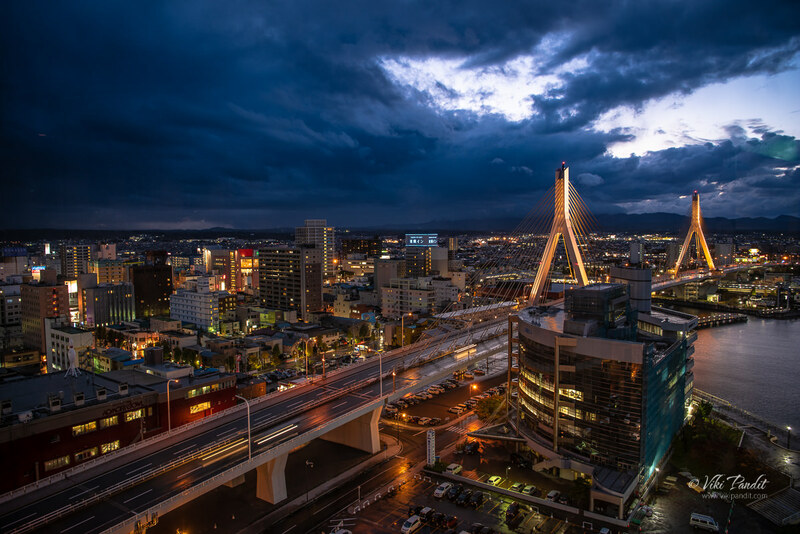 I specially love the way you can capture the iconic Bay Bridge along with Aomori’s skyline. It was still raining incessantly so we stayed at the coffee shop for a little longer. For photo enthusiasts. using a tripod is allowed inside. I would recommend using a lens skirt to take photos from inside the tower, so the reflections wont damage the photos. 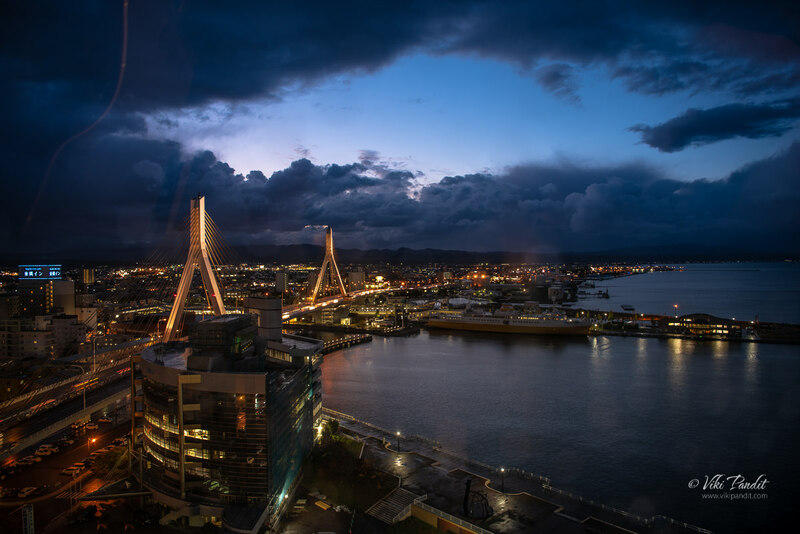 Once the rain relented, we walked down to the Aomori Bay Bridge which looked so beautiful from the top of the ASPAM building. You don’t have to go all the way to where the flyover touches base. 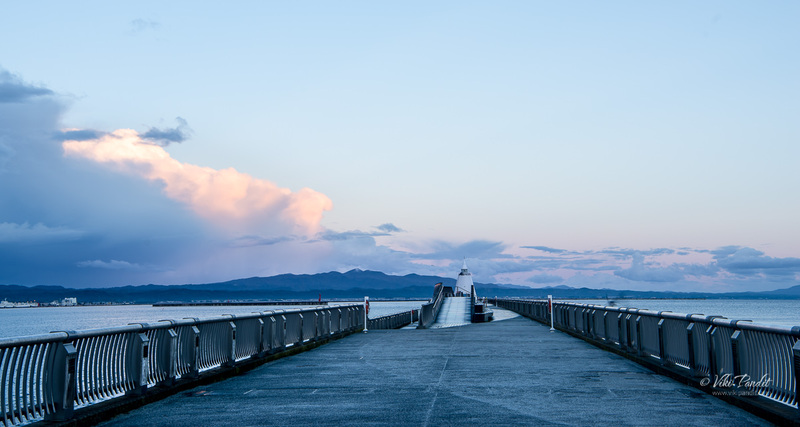 The bridge can be accessed from the pier by stairs. 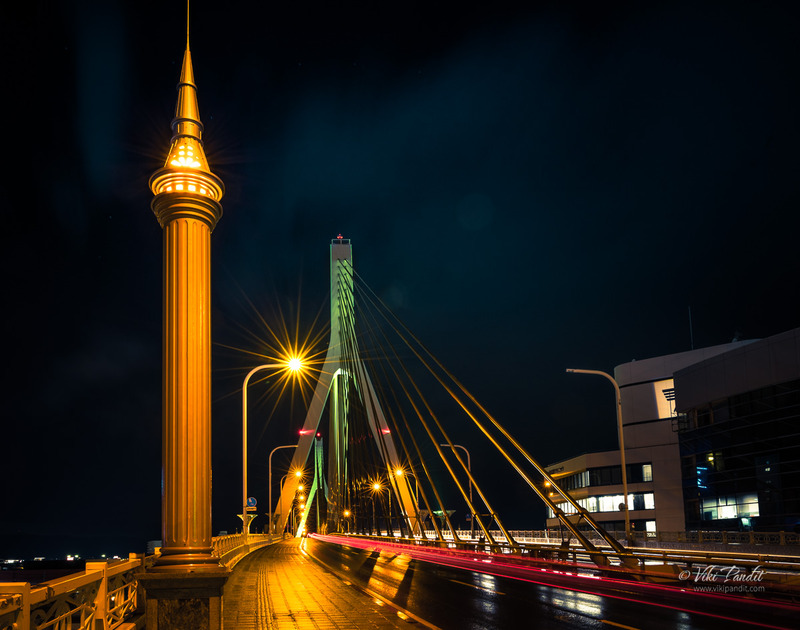 Just before you alight onto the main bridge you can see some beautiful designed street lamps. This shot was taken handheld using my Samsung S9+ device. It does surprise me more often that not. We walked a bit further along the cable-stayed bridge overlooking the bay. It’s the second longest bridge in Aomori Prefecture after the Hachinohe Ōhashi Bridge. 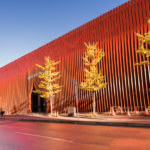 On the other side the ASPAM building was looking incredible lit up in changing colors. So, there it is. I was certainly tired from the long day. But I was excited to post the pictures I shot. Even though the day was dull with cloud hanging over at all times, the pictures did come out interestingly well. Aomori Bay is a nice and relaxing place to hang out. It is a major tourism attraction with many popular sights of historical, cultural, and local festivals. Even though it was my second visit to the city, I still haven’t had enough of it. Thanks for reading. I look forward to your questions or comments. 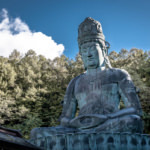 Please leave me a star rating if you liked the post or continue to read the story of my visit to Showa Daibutsu in the suburbs of Aomori.